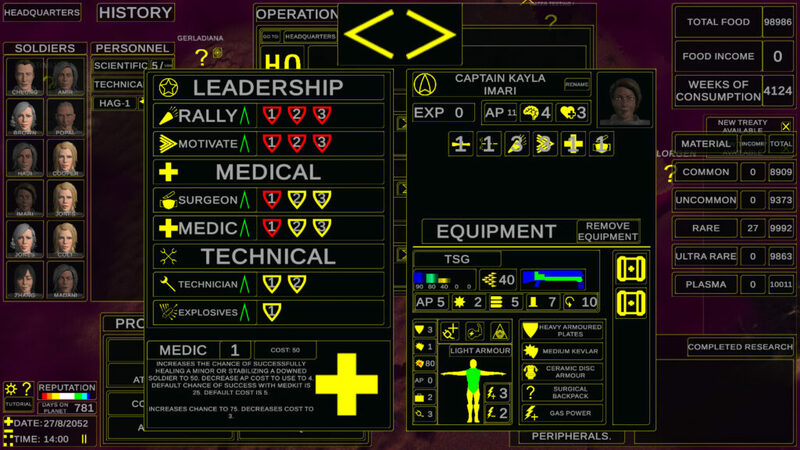 ColonyShip4- Survivors is a promising turn-based tactical RPG developed by Wyatt T. Courtney with a lot of good ideas. The earth is slowly dying and so the governments decide to start projects to try to colonize other planets. 4 planets are identified with the right conditions to be inhabited. Thus, 4 ships are launched, each directed towards a planet. Our ship, the Colonyship-4 is the last of the four to have been launched into space. Inside there are the best scientists, engineers, and soldiers that the earth can offer. During the journey, the ship is forced to make an emergency landing on an unknown planet. And it is precisely here that the main campaign will take place. On this planet, we will meet different factions and we will have to investigate and study the ecosystem in order to adapt and look for ways to escape from the planet. In Colonyship-4: Survivors, we will have the phase dedicated to the management of our headquarters, to the exploration of the planet and the combat phase. During the management phase, we will have to take care of our headquarter, keep the food level under control, carrying out research, producing weapons and recruiting new soldiers. 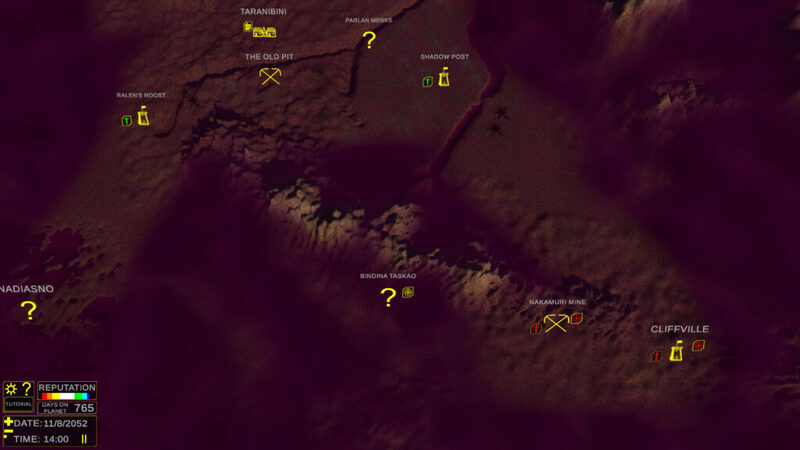 During the exploration phase, we will have to move on a vast inspired open-world map in search of population centers and points of interest to accept missions and find out more information about the planet where we crashed. We can decide to pause the game or move the timer forward at different speeds. On the planet, we would be in contact with different factions, each with its own agenda. This will always make one campaign different from the other. 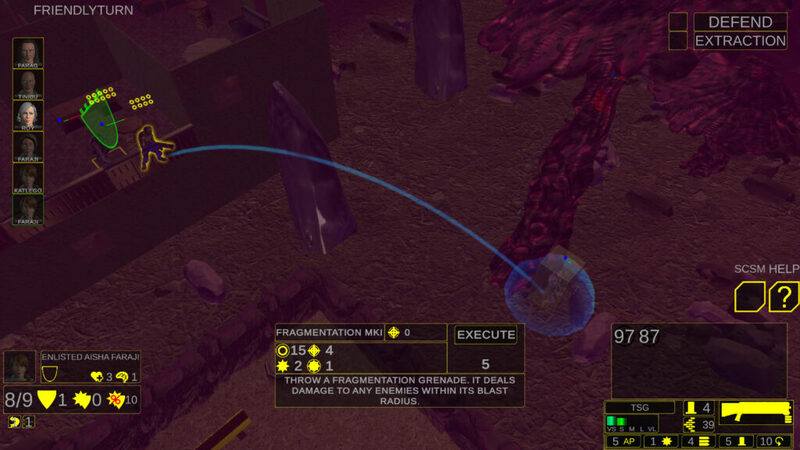 During the battles, we will guide our soldiers on Xcom-style grid maps. We will have to move our soldiers using half and full covers, alternating our turn with that of the enemy. During and for the period immediately after Kickstarter, the developer will be working heavily on the graphics side. Enemy models will be increased in number and equipment that is present, but not modeled, will be added to the game (grenades will show on a character’s belt, different models will be developed for different armor types and armor upgrades). In addition to the skills that each character will be able to develop, you will be able to research genetic modifications to enhance your followers. Eventually, your human crew could have access to the powers of all the other races. You and your crew will be cut-off from the earth and any leadership it could provide. It will be up to you to determine the moral limits of your mission. Should you ensure the survival of your crew on this planet at any cost? Should you work to help the already established planet-dwellers to make a new multi-racial society? Maybe something in between? Melee combat would get its own dedicated skills to develop, and lead to a whole slew of new equipment. Combat would happen as the firefight goes on around a character, with characters locked in a melee battle able to play several “rounds” per turn in the wider game. You would activate melee actions that a character has learned to fight your opponent. A space combat system that will also run in parallel to the tactical, turn-based action. Imagine capital ships engaging in ship-to-ship conflicts while small groups of your “Space Marines” board and try to fight their way to the bridge to gain control or the engine room to sabotage! Currently, the game is in the Kickstarter campaign, the campaign will have a big impact on what the developer can then realize. I invite everyone to take a look at this project because I think it is very interesting and with great prospects. A first version is scheduled for November 2018, and then all the elements in development will be introduced little by little. For now, you find a demo here. Below you will find the official trailer and the steam page link. Let me know what you think about Colonyship-4: Survivors in comments below or by twitter. Learn more about some others promising turn-based games.